Was it the chandelier aesthetics of the grotesquely over-dimensioned Palace of Independence in Minsk that brought up Cold War memories, or the desperate attempts by Angela Merkel and François Hollande to contain the Ukraine crisis by confronting an enigmatic Soviet leader, sorry : Russian president? The entire setting looked strangely familiar to those who had grown up in what might well be called one day ‘Cold War One’ (knowing that ‘Cold War II’ already has a Wikipedia entry). The only difference was the stubborn, though somewhat helpless, efforts of the Franco-German tandem to deal with a European crisis on their own and without entering an arms race they have left behind in the 20th century. A good moment to pick up the memories of veteran from the first Cold War, especially if they are as insightful and well-written as Egon Bahr’s. 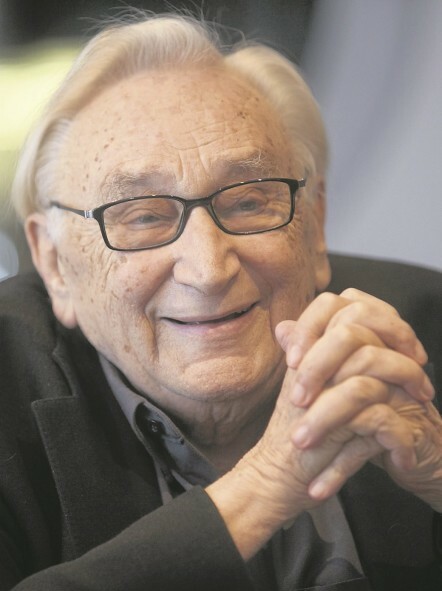 Egon Bahr, now 92 years old, had been the man in the shadow of Willy Brandt, the smart co-architect of the German Ostpolitik. 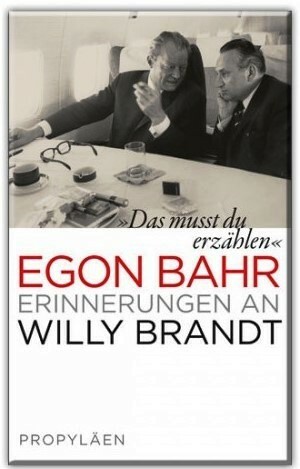 His recently published ‘You will have to tell this’ (Propyläen Publishers, Berlin) bears the subtitle ‘Remembering Willy Brandt’ and focuses on the (very dense) five years between 1969 and 1974 when Brandt held the office of Federal Chancellor. Two aspects in this fascinating and utterly credible report on an era that represents both the epitome of the Cold War stalemate and a moment of dramatic change, are particularly striking. The first one is the lucidity, intelligence and reliability with which Bahr credits his Soviet interlocutors, from foreign policy advisors up to Leonid Brezhnev. In Bahr’s souvenirs, the paranoid actors can be found mainly in Western and Eastern Germany. 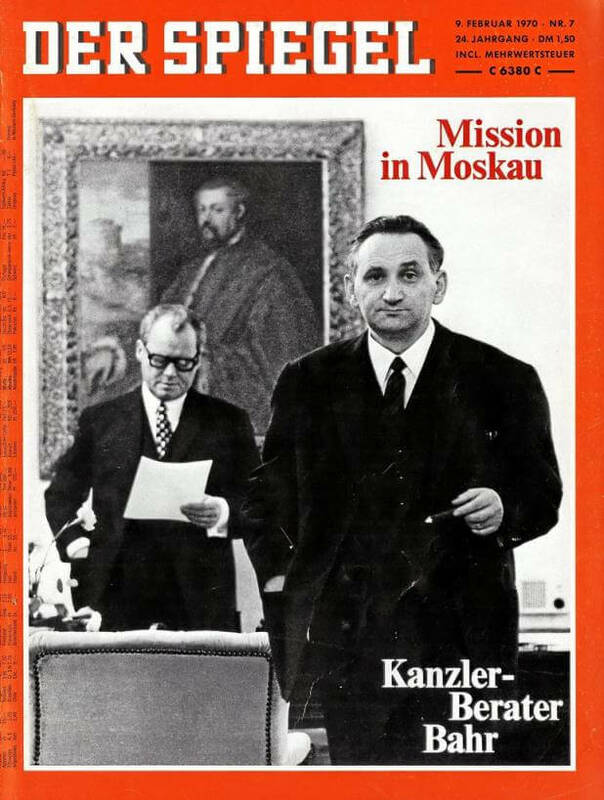 The reader cannot help but wonder whether the Ostpolitik, based on the famous principle of ‘change through rapprochement’ (incidentally coined by Bahr as early as 1963), would have been possible with a Soviet Union ruled by Putin. The second one is the utter irrelevance of Europe! The then EEC is hardly ever mentioned across the book. On a total of 260 pages, it is dealt with in one little chapter on pages 192-196 and referred to in the chapter title as ‘Eine Geliebte zum Verzweifeln’, best translated perhaps by ‘an exasperating love’. The fact that Europe seems to have played no role whatsoever in Brandt’s foreign policy is all the more surprising as his first major foreign policy action as Chancellor was to attend The Hague summit in December 1969 and, together with Pompidou, open the path for the first round of enlargement. ‘Considering how each British government has, consistently, and very skilfully, impeded the development of European integration; and considering that we are today in a situation where it is clear that they are even less prone to linking their destiny to that of the continent, I can only see a new chance for Europe without England. Whether Europe will have the courage to take this step, I do not dare judge at this moment’. The Cold War times of the 1970s had their scary moments. But with all the talk of enemies, arms race and nuclear threat, things almost seemed more rational than in the multipolar mess of the new century. Bahr’s memories and observations leave the reader with the premonition that we might end up cherishing a sentimental nostalgia for the good old days of Cold War One. This entry was posted in Current Affairs, The EU and tagged Cold War, Germany, Russia. Bookmark the permalink.